Colin sang the Canadian National Anthem at the ANCA Naturally Autistic People Awards in front of 200 people at the UBC Robson Square Theatre in Downtown Vancouver. Colin also sang a duet with international award winning Metis singer, Janet Panic. They both performed her “It will all work out” theme song together. Colin charted among the top 10 out of 40 for three of his cover songs. He came in 3rd, 4th and 8th out of 40! He was with so many other talented artists it was amazing that he was voted into their league at such a young age. Colin made it through two of three very tough rounds. The 5 Producers/Judges told Colin when he sang “Baby” for them that he was better than Justin Beiber. He also sang “One Voice”. They told him that he sang up to their strict standards and that he was very cute and they loved his outfit. When Colin told them he was Autistic, they said that was amazing! Colin graduated from The Cherub Choir for two years in a row, with his Choir Conductor, Mr. Jeff MacLean with certificates. Colin met this spiritual icon who has millions of followers around the world for his second darshan. During his embrace with Amma, he gave a copy of his CD to her and Amma hugged him a second time, gave him an apple, and asked one of her disciples to play the first track of his CD to the huge audience in the ballroom. Many people danced to his Baby song played on the huge speakers in the Ballroom and enormous applause was followed afterwards when the song was over. Colin competed in the Beech Bend Superstar Contest. He sang his rendition of “One Voice” in front of the 2 Judges and an audience of 50+ people. While he made the mistake of not holding onto the Microphone and standing still on stage, he was told by the professional Judges that he had a clear and pure voice! The husband/wife team of Judges who are Producers and owners of a recording studio and a radio show told us to call them and to discuss working with them in the near future! Colin sang “Where is Love” from the 1968 Movie, “Oliver” (Twist) and the two Producers loved it! One of the singers who was part of his group cried while he sang! He was then filmed for 20 minutes by the second Producer for the show as they were so smitten with him! Colin competed in 4 classes where he won 4 First Place Gold Medals along with 4 First Place official Certificates. He also won a Junior Scholarship of $75.00 cash towards his tuition for his Vocal Coach. Colin was honoured with an invite from the Owner/Operator of this 50 year old Art Gallery, Sybil Rampen, to perform with Internationally famous Singer Songwriter, Mr. Justin Hines, for the opening and closing ceremonies for the Art Show called “Art from the Heart.” Colin sang a duet with Justin in front of a sold-out packed show of over 300 people. They sang together the song called “Courage” written by Justin Hines. Colin then sang solo his rendition of “Where is Love” from the 1968 Movie, “Oliver.” While Justin was in France for another concert, Colin was honoured with being the Main attraction for the March 25th Closing Ceremonies. Colin won First Place for his Vocal/Singing Division (4-11 years old) and was awarded a huge trophy along with being honoured to sing in front of 1000 people at The Grand Awards Ceremony and Banquet. Colin competed in a total of 5 classes for both festivals and was awarded 3 First place standings, (One Gold Medal and two Gold Pins) along with one Second and one Third Place standing, (both certificates). Colin also won two cash Scholarships $100 from Milton and $50 from Peel. Colin was also invited to sing at The Milton Grand Festival and Award Show. Colin made it through all 3 Tiers with the Producers and was ranked in the Top 16 out of 4000 other children who also competed. He was also selected to be a Star Cam Host for their National Website where he was on camera interviewing Audience members about the show. Colin was honoured with being selected as a Finalist, (one of three) for this local competition in the Young Artist Award category. He received a Finalist certificate along with a personal letter of Congratulations from The Mayor of Oakville. He was also the Opening Act at The Awards Ceremony singing his rendition of “I Gotta Feeling” in front of 250 people at the $75.00 a plate dinner. Colin took his first Grade 1 Formal Voice Examination/Tests with The Royal Conservatory of Music, (RCM) and he passed with Honours with a total grade of 78/100. He received an official diploma in the mail. Colin was invited by Pastor Michelle Sim to sing at a church service his Different song and he was then featured on The Abilities Ministries website , (www.abilitiesministries.org) Colin was then invited to sing at a book Launch for Florence Rice, (“Earth out of Time”), there he sang Different again along with Consider Yourself. He was very well received there! •	October 2012, The Genius of Autism in New York City! Colin was given an opportunity of a Lifetime by being asked to sing/perform at this year’s annual event called The Genius of Autism in Times Square just one block off Broadway at the Historic Edison Ballroom. Along with nine other highly talented performers who were all on The Autistic Spectrum, Colin rehearsed and then sang his rendition of “Different” on stage to an audience of 220 high caliper executives to a thunderous applause. There were many tears of joy in the ballroom after Colin sang. Many online articles were later written and produced after the event highlighting Colin’s Performance. The generosity of The McCarton Foundation paid for Colin’s Airfare and four Star Hotel suite. It was a magical night and many new friends were made in the four days Colin spent in New York City. Colin sang and performed six different songs for all the Professional Adjudicators over a 2 week period. He won First Place Gold Medals and Certificates for five songs and one Second Place Silver Medal and Certificate for one song. He was also awarded a $100 Junior Scholarship at The Grand Festival Awards Show. Colin was honoured with an invite to an exclusive filming of him singing for a mock RCM Grade 2 vocal examination which will be used for training professional adjudicators all over North America. This was a paid gig. Colin was invited to sing his rendition of the Christmas classic, What Child is This, in front of the church congregation as the opening performance for Kevin Pauls. Colin’s 17 songs have been featured and played on 2 radio shows at Positively Autistic with Tracy Roberts and ANCA Autistic People with Maria Iliou. He has also been interviewed live many times on both shows and has sung several of his current songs on air. Colin has also sang at many Recitals at The Walton Memorial United Church in Oakville for his Vocal Coach, Mr Cross. 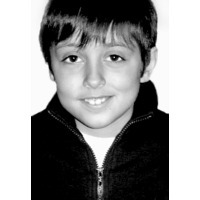 Colin also has his own Blog Talk Radio Show called, “Colin Brennan Music and Autism. He has had over 32,000 listeners tune into his 13 shows so far! He congratulated Colin on all his past and future singing accomplishments and acknowledged his hard work and listening to his CD! Colin stated that he was very happy to hear that the “Big Boss of Canada” likes his singing! Colin was also honoured to receive a letter acknowledging his singing from his CD! Colin was also honoured to receive a letter acknowledging his singing from his CD and his love of her books and movies. Colin received this unexpected and nice letter from Mayor Rob Burton congratulating him on being a Finalist in The Young Artist Category for The Stars Among Us Competition. Colin received this second unexpected but excellent letter from Kevin Flynn congratulating him on being a Finalist in The Young Artist Category for The Stars Among Us Competition. It had the official Seal of the Provincial Government along with being inside an official cushioned binder of the Government.